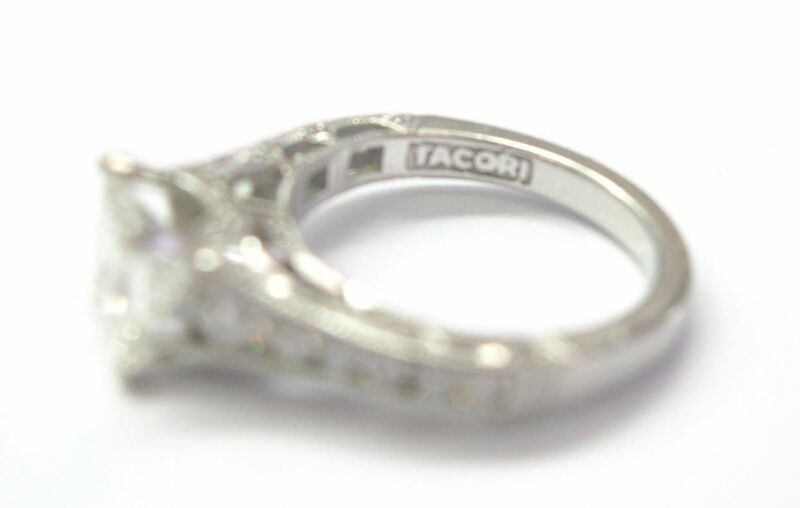 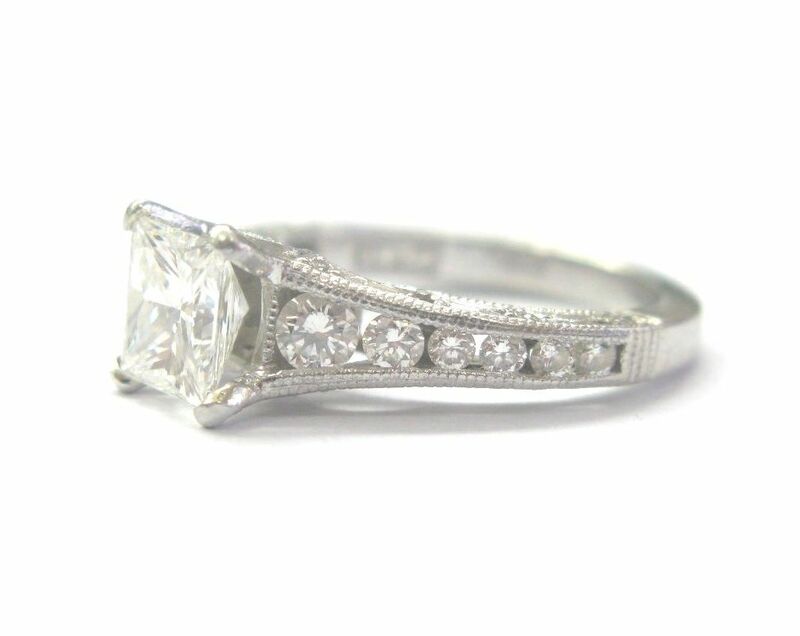 Here is a Fine Tacori Platinum Diamond Engagement Ring. 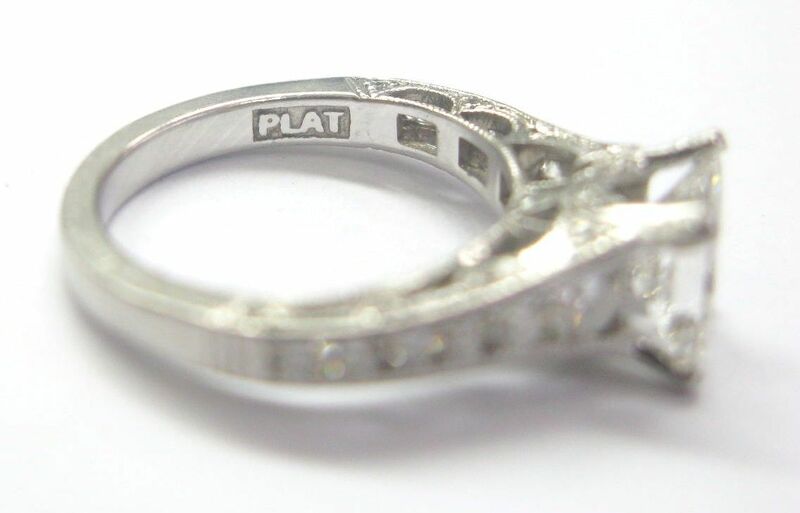 Made from Solid Platinum 950 and weighs 6 grams. 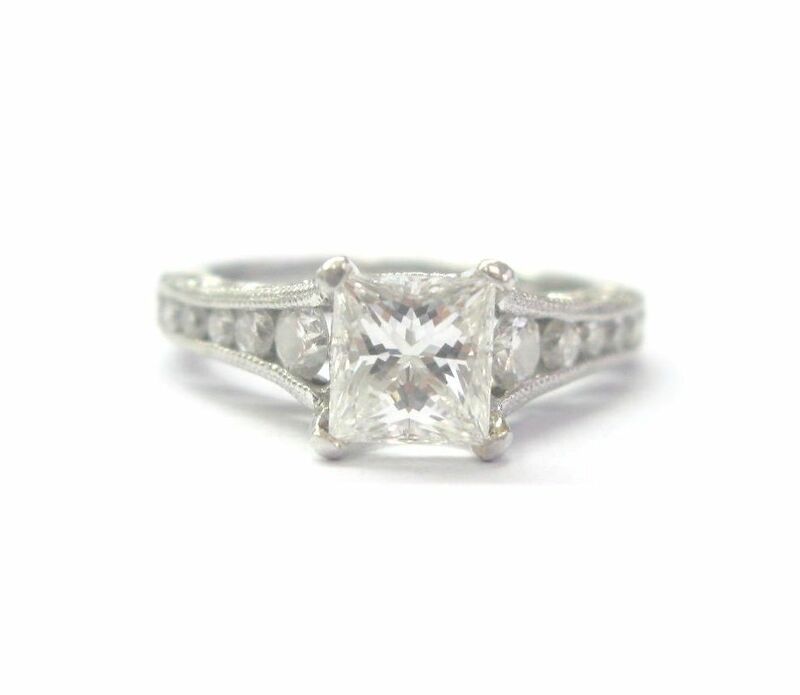 At the center of this beauty you are looking at one Natural Princess Cut Diamond that is a 1.22Ct H Color VS2 Clarity Full of Shine and Fire. 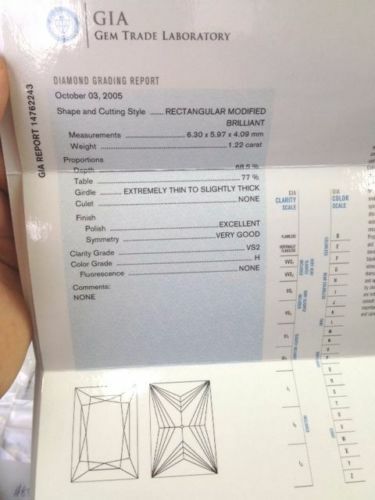 On the sides of the center stone you are looking at 38 Natural Round Brilliant Diamonds that add to 0.62Ct of G - H Color VS Clarity. 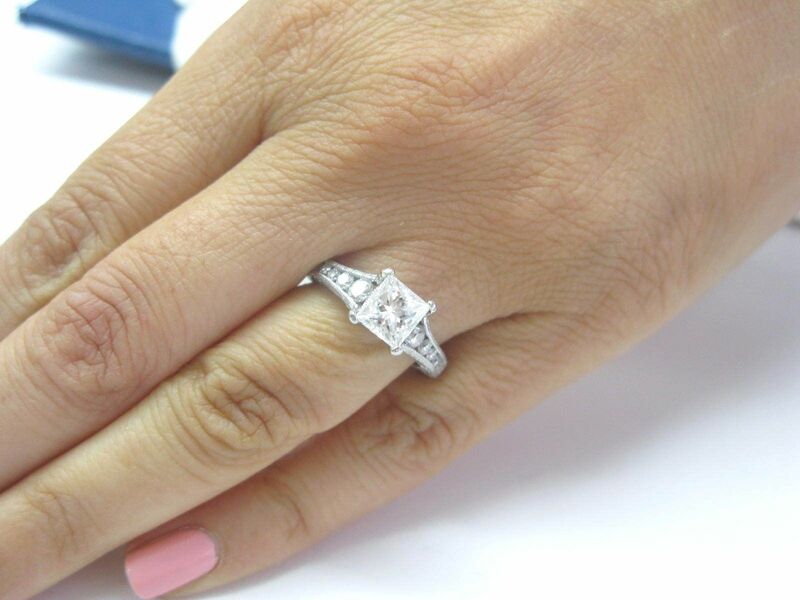 The ring is currently a size 5 which can be sized. 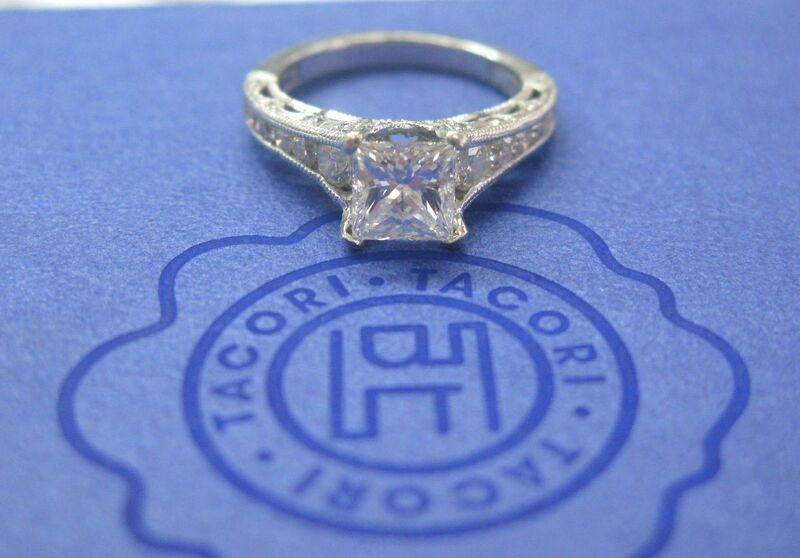 Hallmarked Tacori , PLAT. 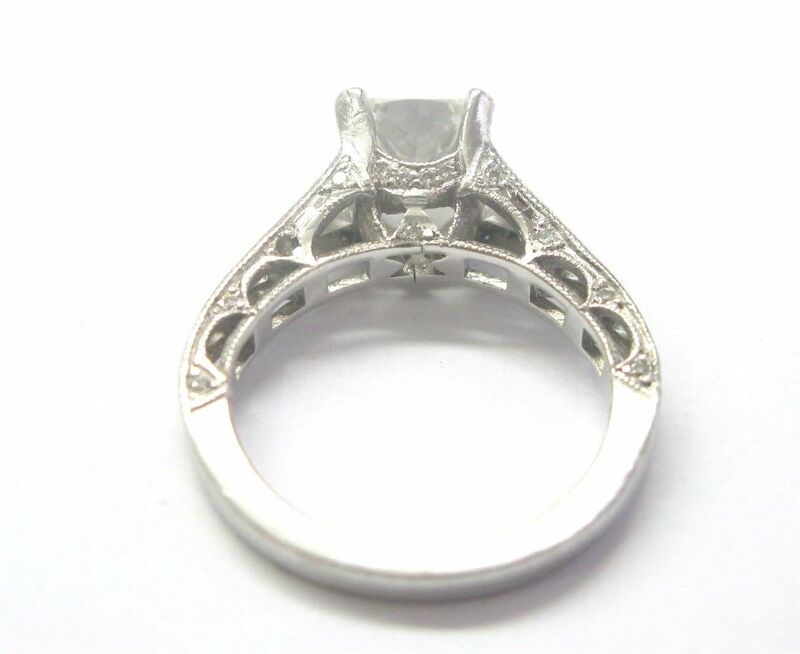 Excellent Workmanship, Excellent Condition.